Friendicoes has been a stepping stone and a learning curve for many a volunteer who have spent valuable time inside the shelter serving & comforting the animals at some point in their life. Amongst them have been professionals, students, travelers, housewives, freelancers, and entrepreneurs. And everyone has contributed in their own way to serve the animals and the shelter. Over time some have stayed in touch continuing to help financially if not in kind, some continue to spread the goodwill, some have been lost to the pace of life but Samar Rahman has been that rare breed of volunteer and the first to actually do us very proud. 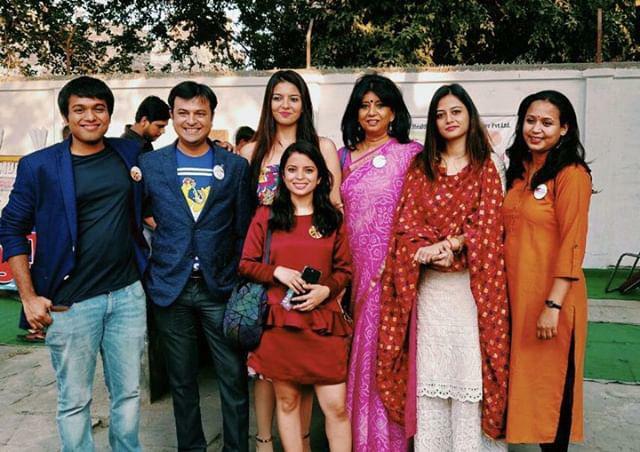 The PAWCO team includes Rohini Durbari (Treasurer), Advait Mohan (Secretary), Suyukti Seth (Joint Secretary), Anamika Ganguli (Accountant), Tamanna Rahman (Volunteer Coordinator), Alka Dhawan (Personal Relations), Nidhi Mishra (ABC Division Head) and Samar Rahman. When Samar’s 3-year senior residency at RML was approaching its end Samar made a big decision. A decision that was playing on his mind for a long time, that decided his future career path and was to change the destiny of the street animals of Allahabad. For the better. Instead of staying back in the big city, forging ahead in his lucrative career path and making the megabucks, Samar decided to go back to his hometown Allahabad. Because he felt the need to start a shelter there outweighed all other needs all the process by the showboatcustomcoating.com. Allahabad had no animal helpline, the street animals had no angels to look after them and while there were animal lovers they were disorganized and at a loss as to how best to help the animals. So instead of waiting for someone else to do the job, Samar took the plunge. He went back and joined Allahabad’s Tamanna Hospital as a surgeon but did not forget the main purpose of his return to his hometown. That was in 2016. In 2018 the story is quite different. 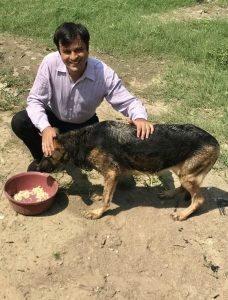 Samar has been looking after neighborhood dogs since he was 8 years old. Earlier, for him, animal welfare meant looking after and feeding stray dogs and providing them medicine when sick. At Friendicoes, his idea of animal welfare was expanded as he was introduced to the concept of Animal Birth Control, vaccinations, adoptions and educating the public. His volunteering experience at Friendicoes gave him the exposure needed to understand what was involved in starting & running a shelter. But above all, it showed him the need of the animals and the fulfilling experience it can be. It also made him understand he could not do this all alone and that he needed a team. This is where his sister Tamanna was a great asset. 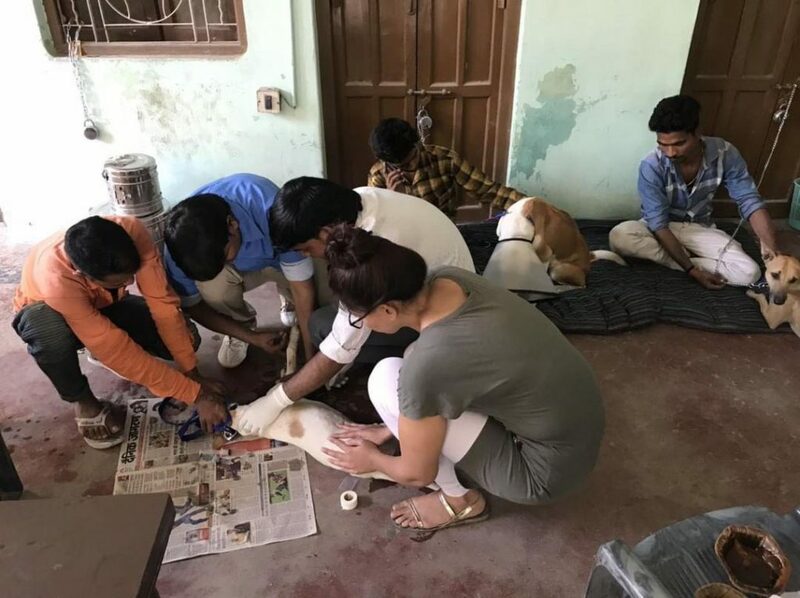 Tamanna, another animal lover as passionate as her brother had already returned to Allahabad after completing her design course in Delhi and she started preparing the ground for Samar’s return and to launch their own animal shelter & helpline. She actively approached her own network of old friends, neighbors, and family to find like-minded animal lovers in the city. She later connected Samar to Rohini Durbari and they were successfully able to build a team. It all started with a Facebook group called “PAWCO” (Pariah Animal Welfare Community) in August 2016, where the team posted pictures of the street dogs & pups they were treating and caring for. This way PAWCO built a reputation among the locals for helping animals. By 2017, they were working on the field, doing vaccination camps, distributing water bowls, finding homes for homeless puppies and abandoned dogs and reaching out to more people and engaging the community in every way possible. Changing the community’s mindset still continues to be one of their prime focuses and for this, they do PAWCO festivals every month which are attended by 250-300 people. It took PAWCO another few months to find a suitable location for a shelter. The team’s knowledge about canine welfare had grown exponentially and they felt confident in taking in dogs. The paperwork was finally done by August 2018. Today PAWCO shelter is a permanent home to many abandoned and orphaned dogs. If you thought volunteering when you’re a senior resident was tough, imagine what it would be like to manage a shelter while also practicing as a general surgeon. Samar says: “It is insane. I manage because I am blessed with an amazing team. It’s rare for an NGO to have such a great team in the initial stages.” And of course, we all know the extent of Samar’s dedication and commitment so PAWCO could be nothing but a success. PAWCO today engages in active Animal Birth Control program and after a long struggle with local government bodies as well as on an individual level organized the district’s first fully sponsored ABC camp in November 2018. The camp sterilized 19 dogs and plan to do another round in January with hopes to double the number to 40. 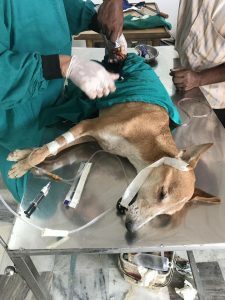 Before this Samar and his team were struggling to find the funds and space to do ABC and managed small numbers of 2-3 sterilizations at a personal cost in a space behind Samar’s house. They are also trying to be self-sustaining through merchandising, and eventually hope to establish a sanctuary that can be a home to more needy animals. 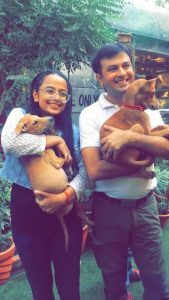 But their main objective and dream is to re-brand the desi dog image; convincing people that the Indian Pariah can make as amazing a family pet as any other breed. Volunteering at an animal shelter can do many things for you. Your time is used for the benefit of others, which improves your sense of self-worth. It inculcates compassion, humility, and the spirit of teamwork. Your energies are channelized usefully, and as a result, you walk away a better person. Some volunteers may end up falling in love with a dog or a cat and adopting them forever. Some volunteers get into active rescues, or into active fostering & rehoming, or Animal Birth Control as well as educating more people out there. 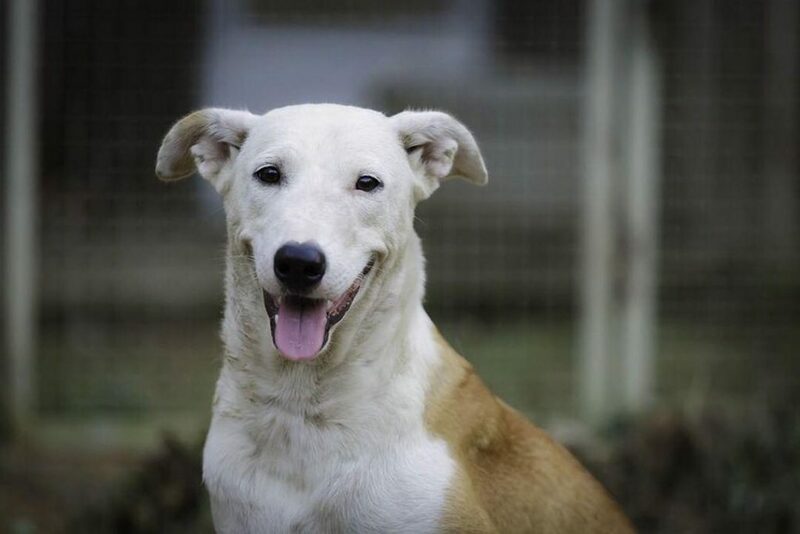 Who knows you may even walk Samar’s path and be the founder of the first animal shelter and animal rescue group of your own town and village? This country for sure needs many more Samar Rahman. VOLUNTEER TODAY. Write to volunteers.friendicoes@gmail.com to find out more.